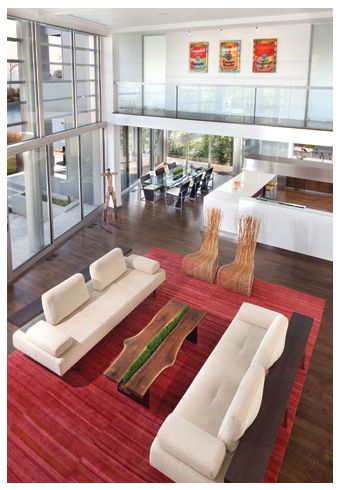 The explosive color of Steve Kaufman art was recently featured in the March-April 2013 issue of Home & Design, the magazine of architecture and fine interiors. 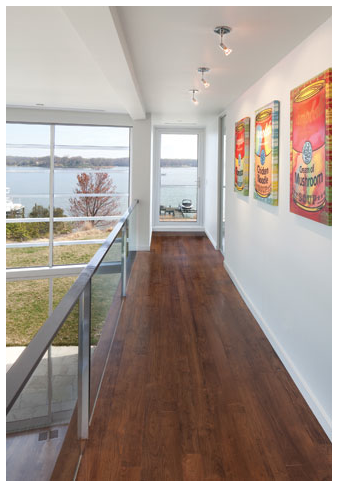 A complementing series of Steve Kaufman’s Campbell’s Soup paintings can be seen on display in the upper hallway of an outstanding modern home by architect Benjamin Ames, located on the South River waterfront in Edgewater, MD, not far from Annapolis. Additional pop art paintings can be found throughout the home. 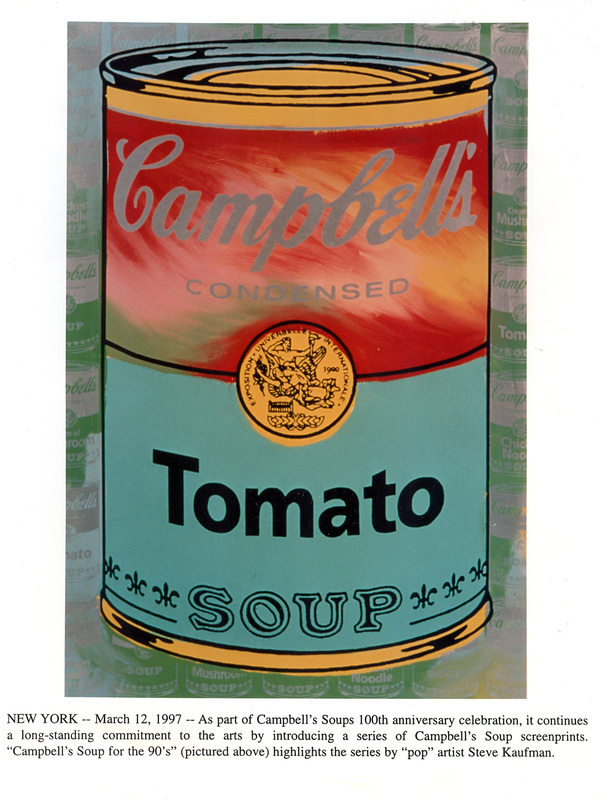 The upper hallway trio of paintings are Campbell’s Tomato, Chicken Noodle and Cream of Mushroom. Images credit: Morgan Howarth for Home & Design. The painting at top left is Steve Kaufman’s “Campbell’s Soup for the 90’s” from the iconic brand’s 100th Anniversary Celebration Series, currently available for purchase at http://www.americanpopartinc.com/framed.htm.